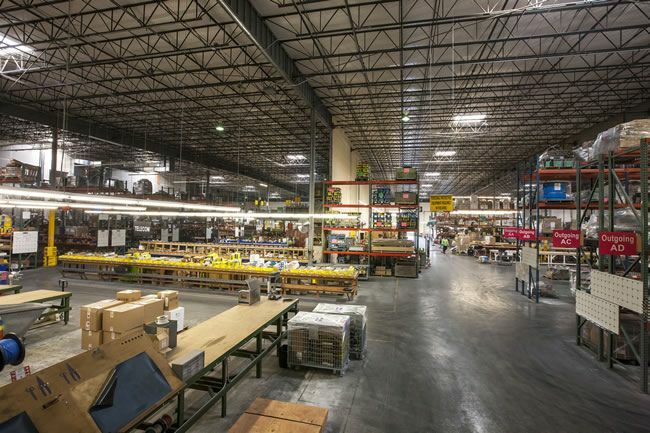 Rex Moore Group, Inc. operates one of the largest manufacturing spaces in the electrical contracting industry with 420,000 square feet dedicated to manufacturing and kitting within a controlled environment. Our innovative Rex Moore Production System is focused on Lean principles and the concept of Design for Manufacture, Assembly and Installation (DFMAI), which lends itself to substantial prefabrication opportunities. Unlike traditional manufacturing companies, we are a Flex Manufacturer who is project based, capitalizing on our construction, engineering and manufacturing knowledge. Our manufactured assemblies improve quality, safety and speed of installation, and reduce schedule durations. We manufacture and package a complete line of electrical and low voltage system components including, but not limited to, box assemblies, electrical rooms, pre-tested fire alarm systems, lighting control systems, panel boards, rack systems, PV assemblies, power skids and kits for all work packages for a variety of projects.